Hello! I've got another video request via Instagram for you! 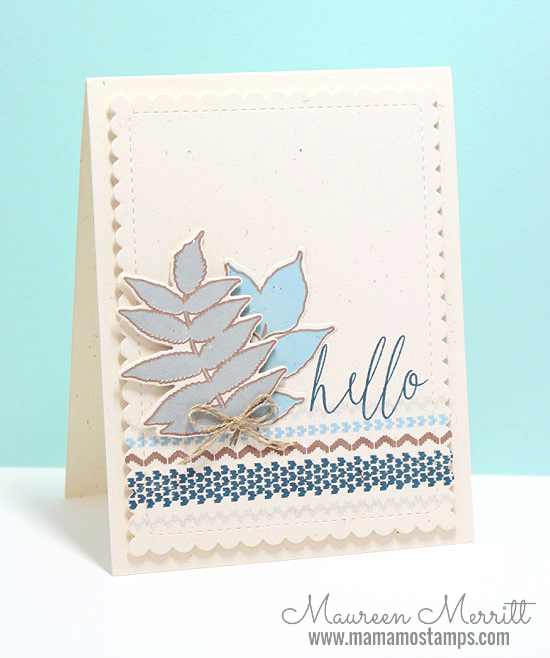 Today's card features our previously released Heartfelt Holiday stamps and dies. Like I mention in the video, this is still one of my very favorite stamp sets. I'll be showing you how to add a little dimension to your solid stamped images by using your Copic markers to create shading. It's a quick and easy way to make an image pop and bonus - you don't have to color the whole image! Watch the video below to see how it's done. I am really enjoying re-visiting some of our older stamp sets. It's something that I always intend to do, but never seem to have the time to do. Scheduling them in and not allowing myself to be distracted by shiny new things seems to be helping. So much easier said than done! What's that you say? A new video? Why yes, yes it is! Today's video features an easy technique that I shared on Periscope and many of you wanted a YouTube version as well - stamping with Gansai Tambi watercolor. 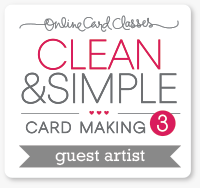 This is another very easy way to incorporate watercolor into your card making projects. Plus, it's just fun! I hope you enjoyed, and as always, thanks for stopping by! Our throwback set this month holds a special place in my heart. Back in October of 2011, when this set released I was new to stamping. I followed the WPlus9 releases every month but I still hadn't purchased anything. I admit it, I was a stalker :) Until...I won the full October 2011 release. Once I got these stamps in my hands, I was in love. I've been a customer and fan ever since. I still pinch myself that I'm on this awesome team. 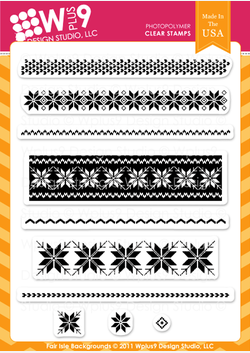 Let me introduce to you this month's throwback stamp set is Fair Isle Backgrounds! I've been seeing the Fair Isle print pop up a lot lately, so I decided this was a great time to feature Fair Isle Backgrounds. I also wanted to show you that it isn't just for Holiday and Winter cards! 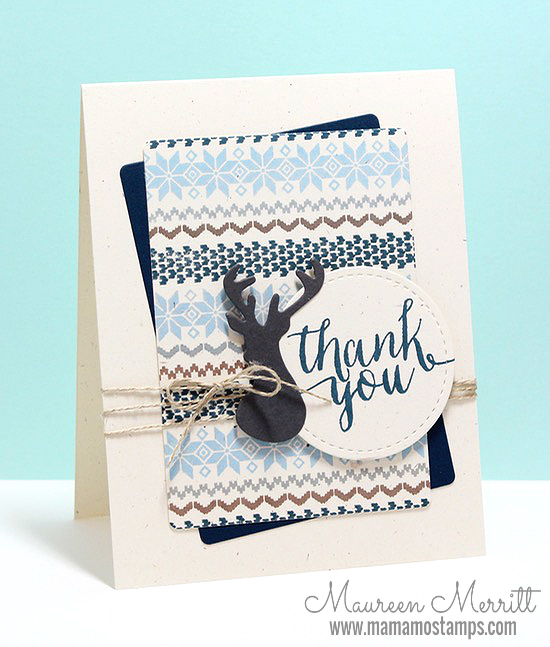 For my first card I paired Fair Isle Backgrounds with a stag to make the perfect masculine thank you card. These two products are used mostly during the Winter and holiday season, but look at how perfectly these products work on a masculine card that can be given any time of year! My next card uses the Fair Isle Backgrounds just to add a little pattern and to ground the leaf images. 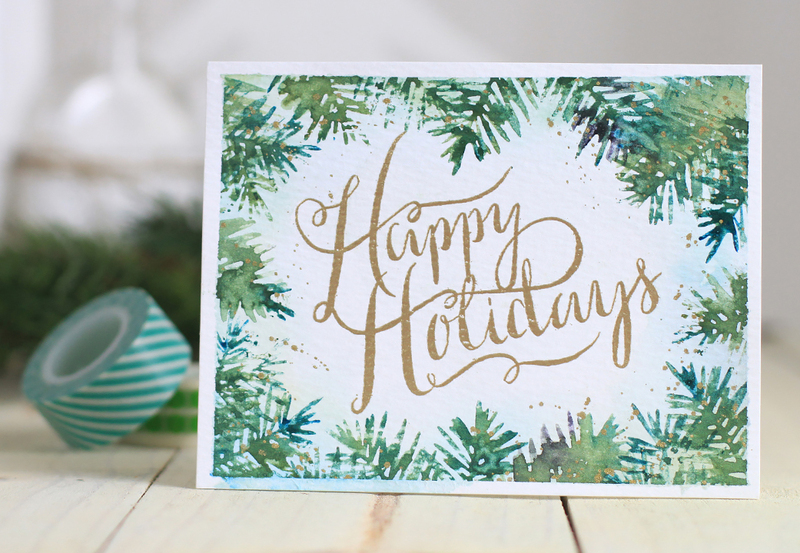 The color palette makes this card versatile for giving any time of year. Fair Isle Backgrounds is a perfect choice for Fall projects too. Just change out the blues and add orange or red to give it more of a Fall feel. Last but not least, a Holiday card! 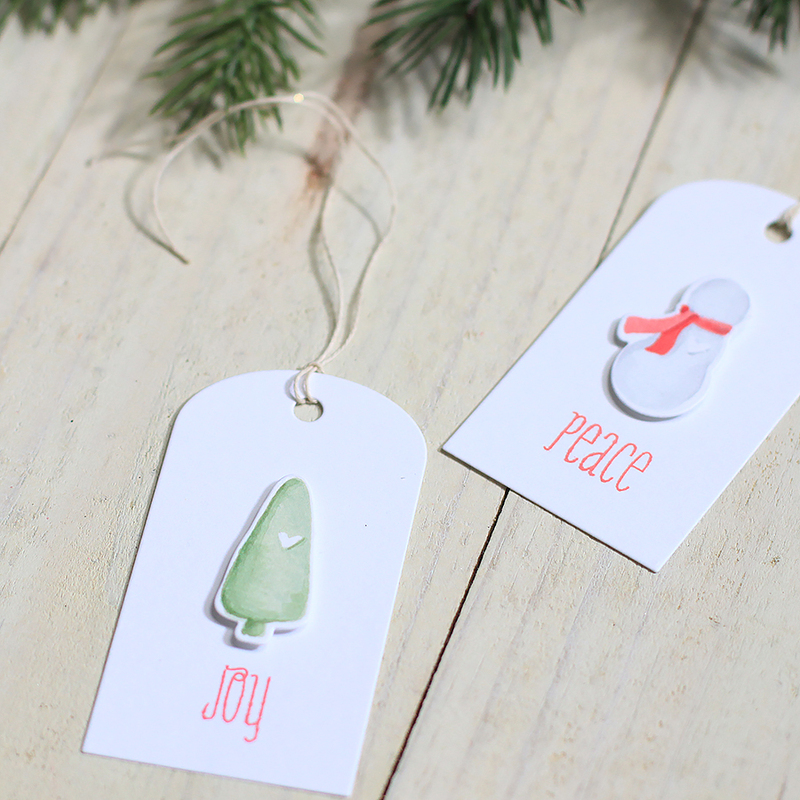 I couldn't wrap up this post without including one of the newest additions to the WPlus9 product line, Holiday Cheer. I can see myself using these two sets together a ton this holiday season. Gasp! I've got a new video up! I know it's been forever, but I do have a few new videos lined up and hope to get on a regular schedule for you guys. Today's video features a fun background technique that works with several mediums including watercolor, Copic markers, Distress Inks and Spray Mists. And in the following video I'm featuring our Spray Mists. The holidays call for all things glittered and shimmered, so I thought what better time to bust out our Clear Shimmer Spray Mist? Seriously not sure which I love more - that Shimmer Spray or this technique! I hope you enjoyed, and thanks for stopping by!